Realm Computers is a small, Dallas/Fort Worth based business created in 2007. We started this company because we love gaming and are passionate about building high quality custom gaming computers. We strive to offer our customers the lowest price possible while still providing exceedingly high performance. We love what we do and make sure that every computer that is sent out is made professionally, tested thoroughly, and packaged carefully. ​We take pride in our work and want our customers to feel satisfied with their computer, which is why we NEVER buy used parts and make sure we always purchase them from reputable sources. We aim to avoid any blowouts and to keep our customer’s computers safe by always going over the minimum power supply requirements as well as triple-checking all the connections before shipping. We believe that all parts of the computer are equally important and don’t skimp out on any of them. All our computers are stress tested with various benchmark utilities to ensure the best quality for our customers. ​We only used trusted brands for our products. We will only buy parts from trusted companies such as: ASUS, EVGA, PNY, Gigabyte, MSI, ASRock, Zotac, Seagate, WD, Hitachi, Toshiba, Samsung, Kingston, Corsair, and Crucial. We will not buy an off-brand part to try and make the build cheaper. We help you diagnose the issue you have, and you are protected from component failures as we check how specific components are doing and make sure to only include the ones that are performing the best based on experience. We want you to have an easy experience free of bloatware, and random hassles you have experienced in the past. Our tech support is right here with us, this means that they have a good understanding of the specific components we use, and we can work as a team to help you out faster. They are people that love technology and gaming and will try to help you out on a variety of problems, software and hardware based. Also, if you want a specific build with parts that are not listed or have any further questions just E-mail us at [email protected] and we will be more than glad to help you. Prices may Vary. - We have a cumulative 10 years of experience with building gaming computers. - 3-year parts and Lifetime labor warranty. - Free Lifetime U.S. based Technical Support. ​​Realm Computers has an A+ on the BBB which means we try to solve any complaints fairly. 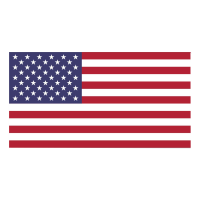 ​​All products are proudly built and supported in the USA.